Peteys Easter Eggstravaganza is a family-friendly event featuring the Easter Bunny, an egg hunt and other fun activities at Chilliwack’s Fantasy Farms. 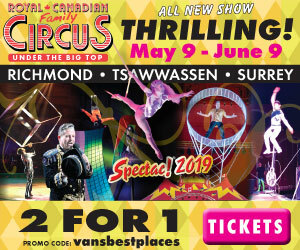 In 2019 the event takes place on the Saturdays, Sundays and Easter Long Weekend of April 6-7, 13-14 and 19-22. Advanced tickets are not required – you can just show up! Fantasy Farms is a family-owned and operated farm located at 9423 Gibson Road in Chilliwack. In addition to growing flowers and produce, the farm hosts a number of great events at various times of the year. 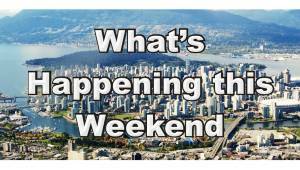 People travel from all across the Lower Mainland for the farm’s Easter event in the spring, the Chilliwack Garlic Festival in August, and both Petey’s Pumpkin Patch and Reaper’s Haunted Attraction in October. In December there is also Petey’s Country Christmas and the Frightmare Before Christmas. Peteys Easter Eggstravaganza takes place in 2019 on April 6th, 7th, 13th, 14th, 19th, 20th, 21st and 22nd. The hours of operation are from 10:00 am until 4:00 pm on each of these days, except for on Easter Sunday when it opens an hour earlier (so at 9:00 am). Admission to the Easter event costs $10 per child and $2 per adult (including GST). Children under 2 years of age are free. At the Peteys Easter Eggstravaganza there are photo opportunities with the Easter Bunny and egg hunting fun in the maze. There is also a petting zoo, rubber duck fish pond, miniature train, Aqua Balls venue, and indoor games and activities. There are a number of things we really like about Peteys Easter Eggstravaganza. Not least of which, it’s affordable and good old-fashioned fun. The event takes place at a farm and there are real farm animals that kids can see and even touch. There is a train that kids and their families can ride on around the property, and there are indoor activities too (so it’s also good on rainy days). Peteys Easter Eggstravaganza is a perfect place for young children and their families to have Easter-themed fun. Below are some suggestions and extra information to help you make the most out of your experience at Peteys Easter Eggstravaganza. TIP #1: Expect to stay for up to a couple of hours (plus or minus). Between the egg hunting, petting zoo, train ride and indoor activities, there is a fair bit to keep little folk busy! TIP #2: If travelling from far away, combine your trip to Peteys Easter Eggstravaganza with a visit to other attractions in the area. 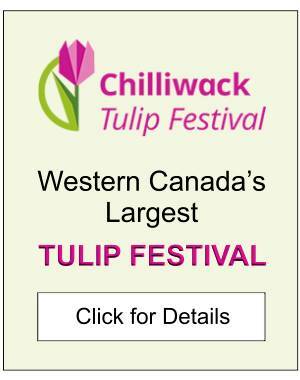 The Chilliwack Tulip Festival is only a 15-minute drive away (at 41310 Yale Road) and open in 2019 starting on April 10th. Harrison Hot Springs is also beautiful this time of year and just 25 km or so north of Fantasy Farms. TIP #3: If going to the Chilliwack Tulip Festival, be sure to try some of the barbecue ribs from Guerilla Q if it’s there. Each day at the flower festival there are between 1 and 5 food vendors, including Guerilla Q (which is run by the family behind Fantasy Farms). If you like pork ribs, you’ll love what Guerilla Q has to offer! TIP #4: Check out some of the other events at Fantasy Farms at other times of the year too. The Easter event is definitely for younger children, as is Petey’s Pumpkin Patch in October and Petey’s Country Christmas in December. The Chilliwack Garlic Festival though features live music and is for people of all ages, and Reaper’s at Halloween is one of the Lower Mainland’s scariest and most popular haunted houses. For more information about the venue see the Fantasy Farms website. For more details about the spring event see Peteys Easter Eggstravaganza Facebook page. For information about the Halloween event at Fantasy Farms in the fall, check out our article about the Reapers Haunted Attraction or see the Reapers‘ website. 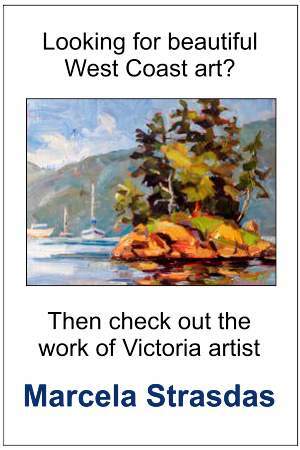 To learn more about the region see our articles about Chilliwack and the Fraser Valley.